Water Based Foam Laminating Adhesive. Foam Stick II will bond foam to foam, foam to wood, foam to fabrics. 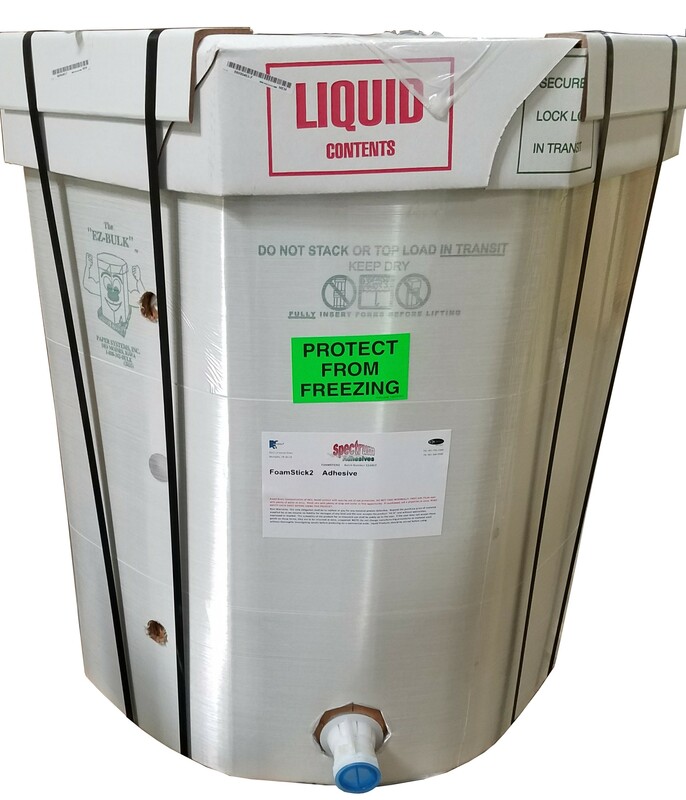 It can be gravity fed or through a pressure pot. This water base adhesive has a long shelf life, it is a new generation of modified synthetic latex rubbers designed to replace solvent based adhesives in spray applications for many foam-bonding constructions. Foam Stick II provides good green strength within 5-10 seconds after application. This product will give foam-tearing bonds within 10-20 minutes. It will bond to itself, wood, metals and plastic materials. This product can be used by itself or as a 2-part adhesive using an accelerator. 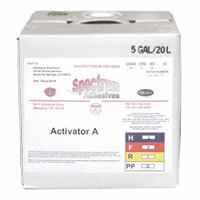 Activator A is an acidic salt solution that can coagulate alkaline anionic latex adhesives for an instant bond. Can be used with Spectrum FoamStick II. Available in 5 Gal Totes.